The 2017 Chicago Drum Show was great. I really enjoyed having a booth with my friend Jack Propps. We had a great time selling and buying some incredible drums. There were so many wonderful drums and drum related things there that it literally took a couple of days to see them all. 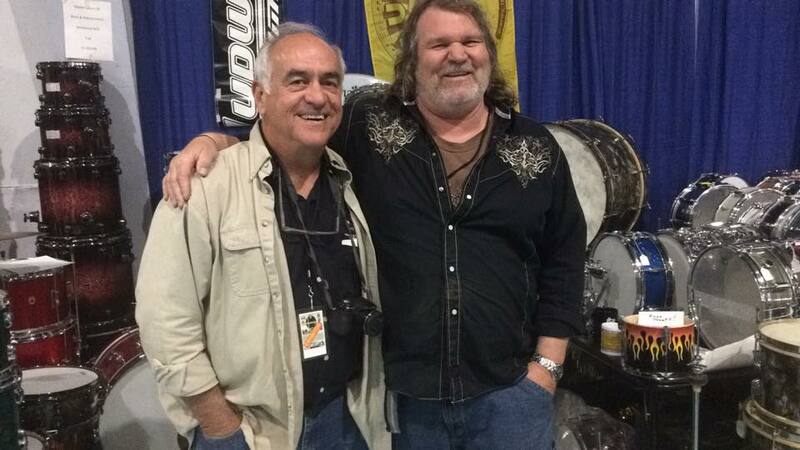 The best part of the event was seeing all my drum friends and meeting new friends. Drummers are really a tight community, and we are all related by our love for drums and playing them. I sold three drum sets at good prices, and was trying not to spend all my money and come home without any cash. I didn't know what Jack was bringing to sell and he didn't know what I had brought until we started setting up our booth. When he unloaded this Emerald Green Gretsch set I almost told him right then that I would take those off his hands. I didn't say anything at first so that I could be sure there wasn't something else at the show that I couldn't live without. I finally broke down and made a deal for them, because nothing else was "calling my name" like these beautiful drums. I just love green drums anyway. I like any shade of green on drums. I like sparkles, pearls, or Cadillac Green. I love those Sea Green drums Whitey Cooper has. If you like or have green drums please leave a comment below. Gretsch introduced Emerald Green Pearl in the late 1960s. This set has the Stop Sign Badge and their serial numbers places them around 1972. I have seen Round Badge sets with Emerald Green wrap also. There were two other Emerald Green sets at Chicago. I think one was a Round Badge set. I have seen Emerald Green sets with chrome over steel bass drum hoops with inlays. the hoops on my set are painted wood hoops with inlays. Having a 24" bass drum makes this set somewhat rare. Gretsch was all about smaller bass drums, because it was jazz players that they mostly catered to. Rock drummers were really not into Gretsch, in the early rock days, with the exception of a few great ones. British invasion drummers used more Ludwig, Slingerland and Rogers. Charlie Watts has always been a big Gretsch endorser. Phil Collins is another rock drummer that comes to mind, and there were others. The toms on my set are standard sizes. The mounted toms are 12" and 13" in standard depths. The floor tom is 16" also standard depth. The shells are thin Jasper shells with no reinforcement rings and painted inside with the famous "Silver Sealer." Painting the insides of the shells silver started in the mid 1950s. Not all Gretsch shells are painted inside. The orange paper tags are also present inside each drum with model and serial numbers. The snare with the set is a twenty lug6.5" chrome over brass with a Lightning throw-off. 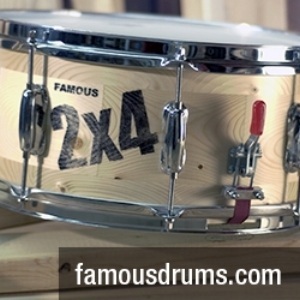 It is an incredible sounding snare drum. One reason for buying these drums with the 24" bass drum is because my wife told me I needed to start playing a larger bass drum at my shows. I was so impressed that she even thought about my drums and let alone was interested enough to make a comment about drum sizes. I had in recent years played a lot of 20" bass drums. She said I needed to move up to a 24" or maybe a 26." I finally asked her what prompted her to suggest I play a larger bass drum? Was it to get more "boom" in the music? She replied, "no, it's just that you are getting so fat you look like a bear on a tricycle behind that small bass drum." Good thing she lets me buy drums. I'll let that one slide. 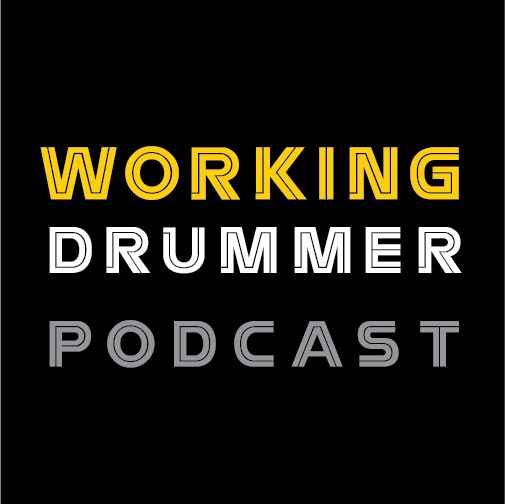 Keep looking for those great vintage drums.